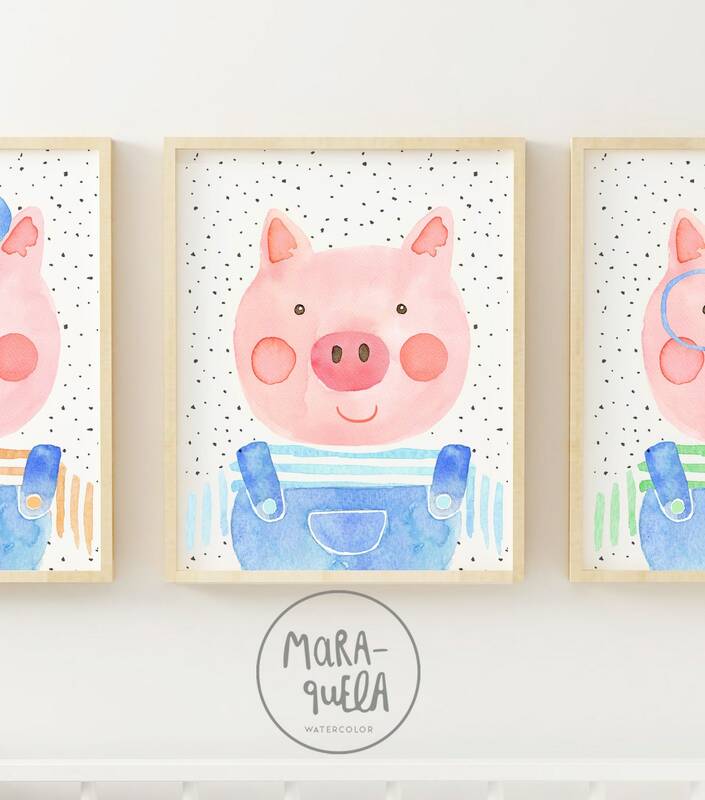 • SET de láminas de los TRES CERDITOS en acuarela. 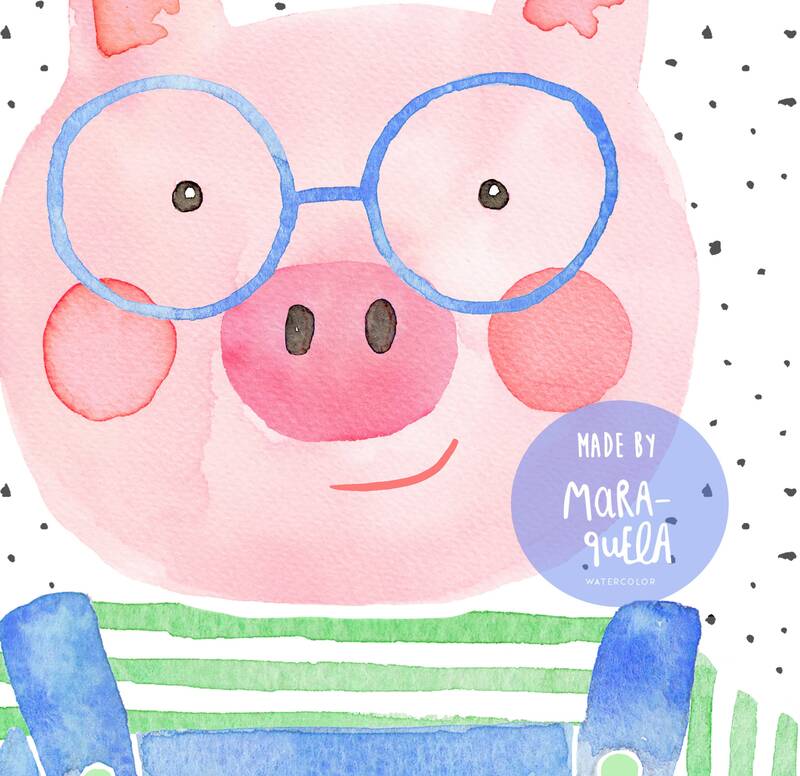 Incluye las 3 ilustraciones: cerdito con boina, cerdito azul y cerdito verde con gafas. 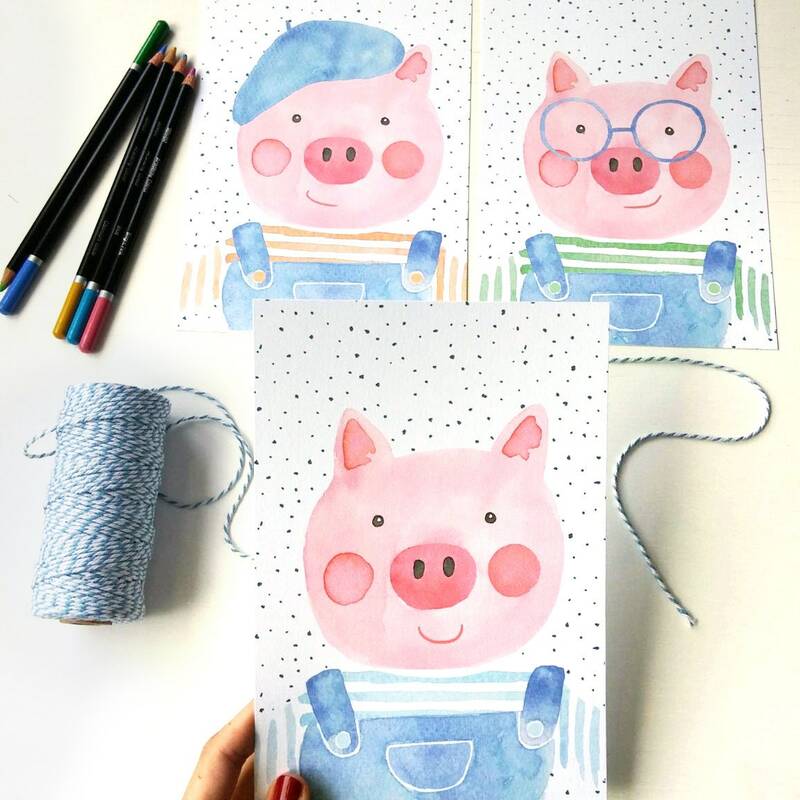 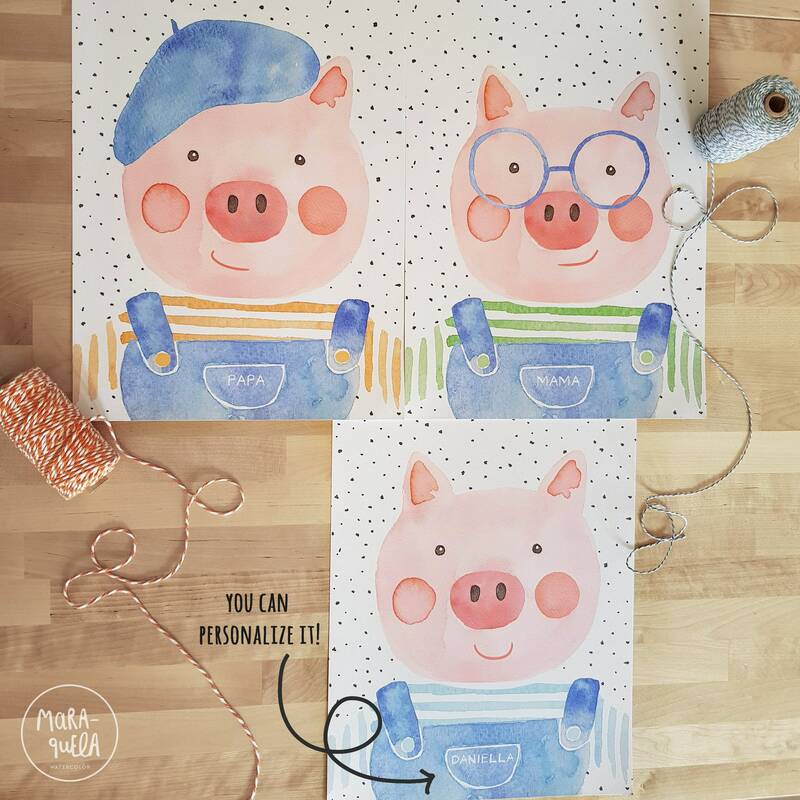 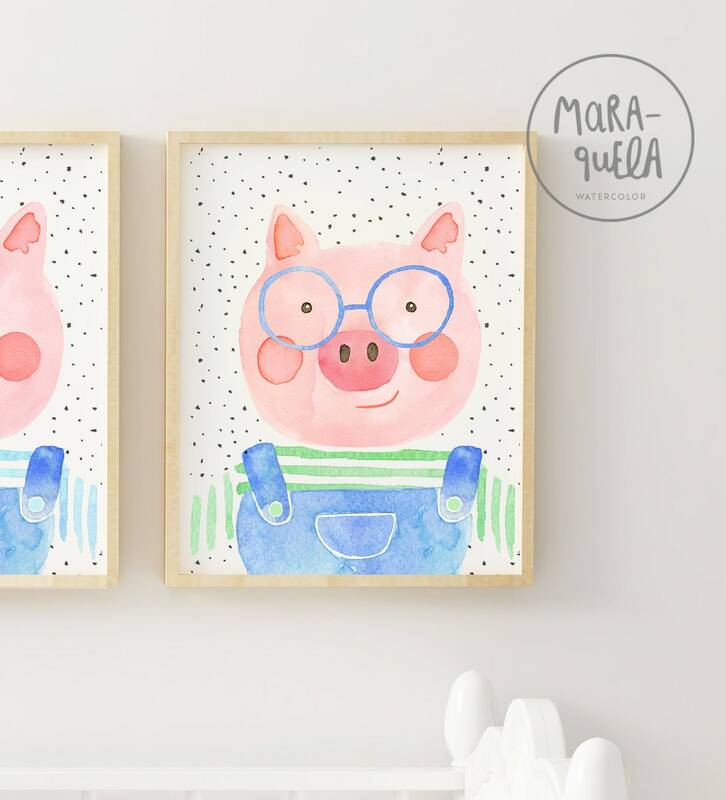 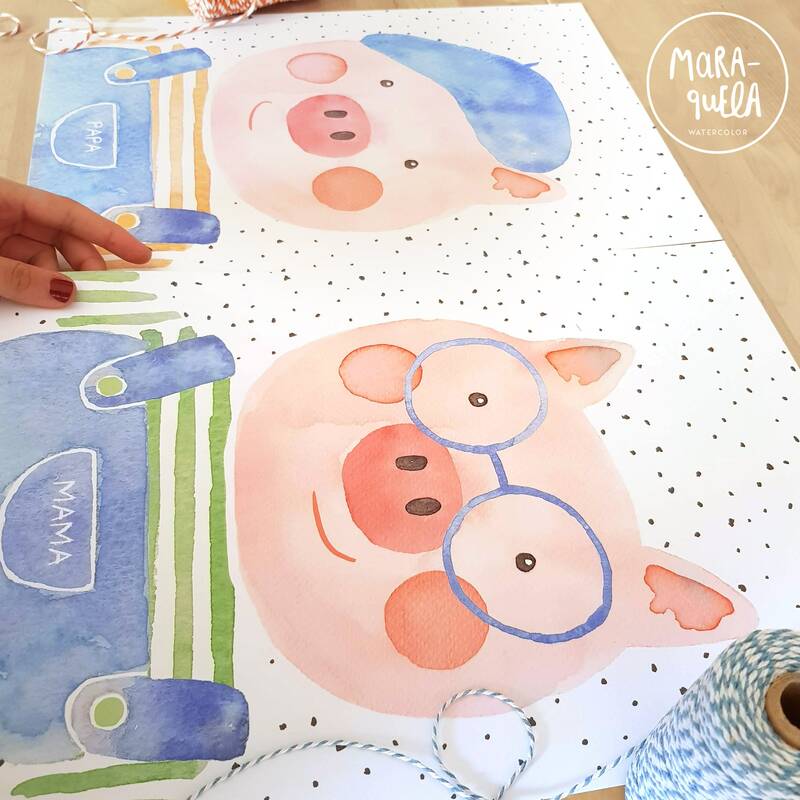 • The nice set includes 3 illustrations in watercolor of three little pigs: friendly little pig with beret, blue little pig and green little pig with glasses. 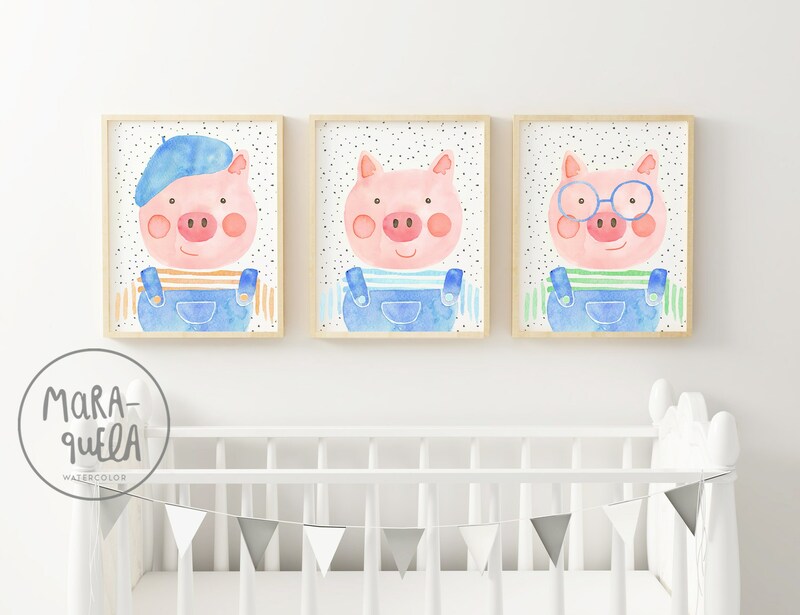 • This set is perfect to decorate a nursery room, for children or babies. 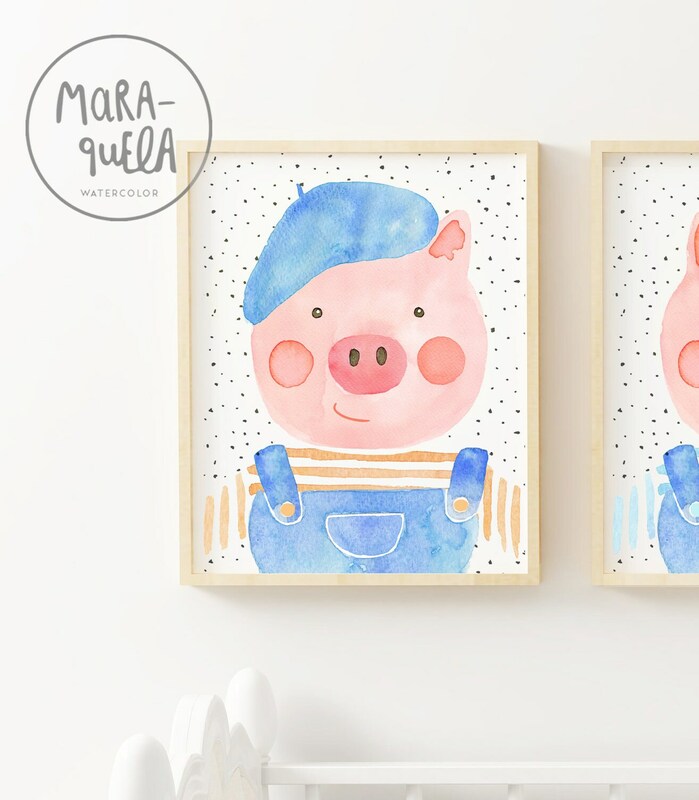 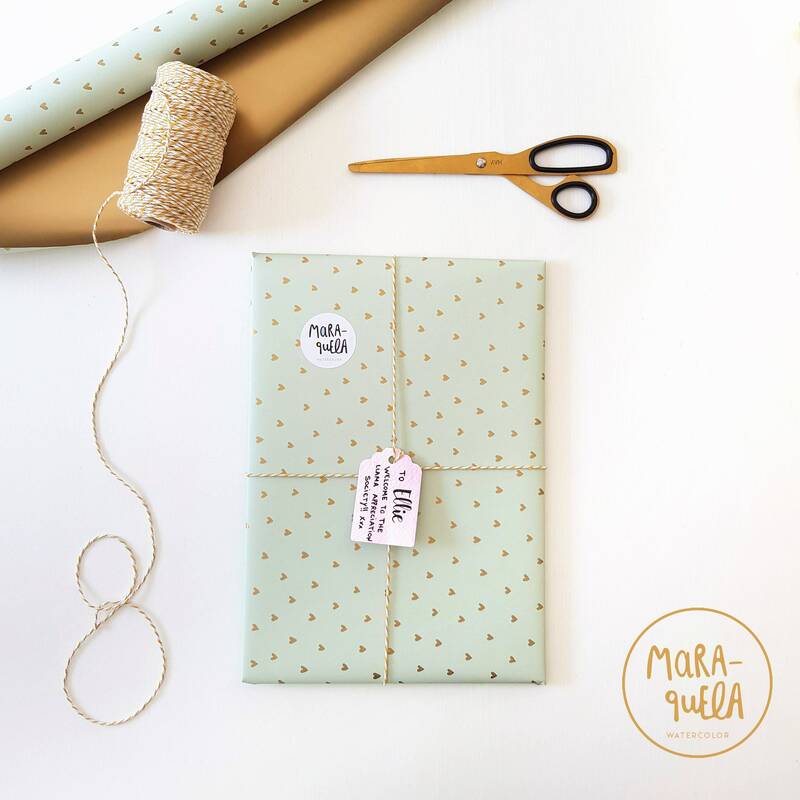 • Lovely illustrations Inspired by the classic children's story of the 3 little pigs.